Intermittent firing is on between Naxals and CRPF's commando unit CoBRA. 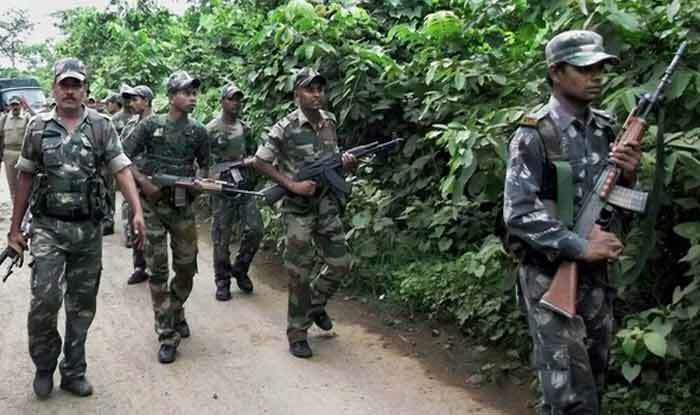 Patna: An encounter has broke out between Naxals and troops of 205 CoBRA at about 6.30 AM on Monday in Nawada, Bihar. Intermittent firing is underway, reported ANI. The only detail that is out is that one body has been recovered. More details are awaited. Only last month, three security personnel were injured in two separate encounters with Naxals in Bastar region of Chhattisgarh, police said. While a jawan of the CRPF’s commando unit CoBRA was injured in Bijapur district, two District Reserve Guard (DRG) jawans sustained injuries in Sukma district, police said. In the first incident, the gun-battle broke out around 10 am in a forest along the border of Sukma and Bijapur districts adjoining Telangana, Sukma Superintendent of Police Jitendra Shukla told PTI. The area is around 500 km from Raipur. Personnel of the state police’s Special Task Force, DRG, the Central Reserve Police Force (CRPF) and its elite unit Commando Battalion for Resolute Action (CoBRA) were carrying out an anti-Naxal operation in the area, Shukla said. A group of Naxals opened fire on one of the CoBRA teams but the rebels fled after a brief gun-battle that ensued, he added.